Training continually varies for each individual dependant on their event focus and development. The phasing and peaking model will also vary the training dependant on each athletes goals. Training will incorporate all aspects of athletics throughout pre-season and season including, but no limited to : accelerations, block work, speed, speed endurance, tempo endurance, lactic capacity, stamina runs, plyometrics, strength and conditioning, olympic lifts, balance, technique, resistance runs, overspeed, steps, hill runs, boxing, etc. Volumes, maximum, recovery, frequency and reps will vary on the development of each individual. Training is six days per week in the off season and five during season. Variations to training days and work loads are provided for certain individuals. 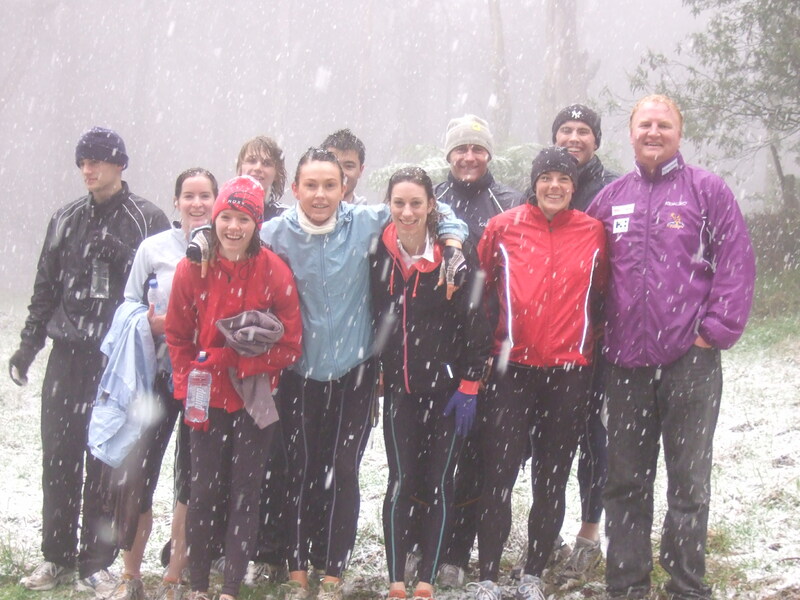 2008 incline training at Mt.Dandenong brought down the snow.